"Abigail" Too is akin to finding more candy when you open the cupboard! More unique and gorgeous background papers to use to create more and more scrapbook layouts, mini albums and cards! These background papers are NOT included in the FQB "Abigail" Collection! 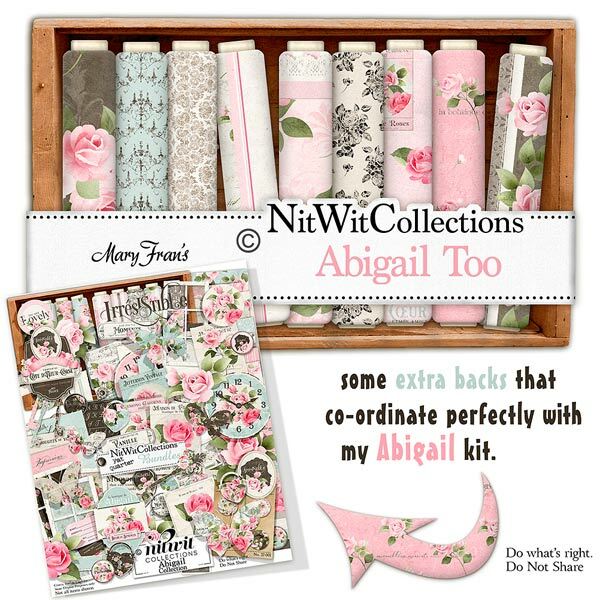 19 Digital background papers that coordinate and colour match my FQB "Abigail" Collection.